The New England Saltwater Fishing Show, the largest show of its type in the Northeast, will have about three-hundred companies displaying fishing tackle, gear and much more. Many manufacturers, distributors and retailers will be offering show specials and discounted show prices. The Fishing Show is at the Rhode Island Convention Center in Providence this Friday, Saturday and Sunday. The Ninth Annual New England Saltwater Fishing Show sponsored by the Rhode Island Saltwater Anglers Association (RISAA), will be held this week March 9-11 at the Rhode Island Convention Center. Friday hours are 12:00 p.m. to 9:00 p.m.; Saturday, 9:00 a.m. to 7:00 p.m.; and Sunday, 10:00 a.m. to 5:00 p.m. Tickets are $10 for adults, children under 12 are admitted free. 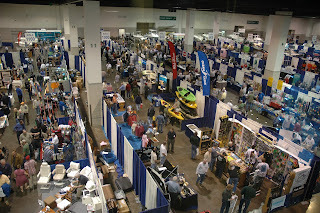 Learn more about the show at nesaltwatershow.com and get $1.00 off your admission ticket with an on-line coupon. Steve Medeiros, RISAA president, said, “This is the largest saltwater fishing show in the Northeast.” The show promises to be the best ever with warm winter weather giving anglers an early desire to get ready to fish. This year close to three hundred companies are expected to be showing the latest in fishing gear and tackle. 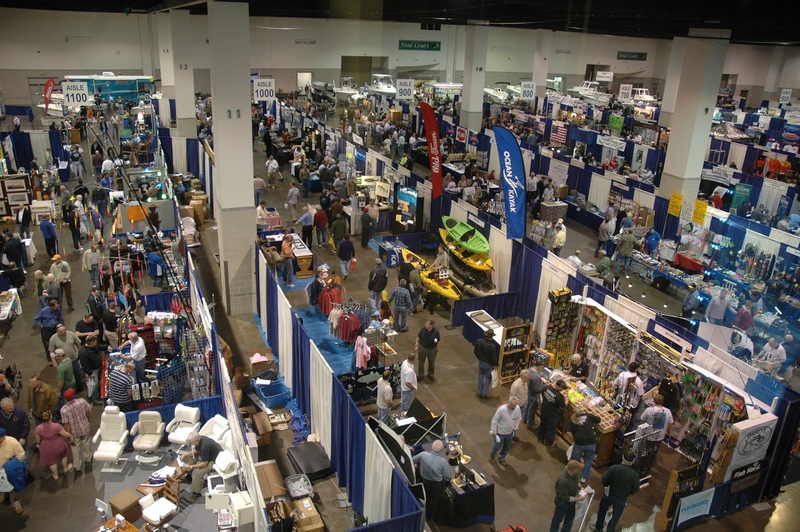 Medeiros said, “Many exhibitors will be offering show discounts and product specials,” Most major saltwater companies will be represented including rod and reel manufacturers, fishing lure companies, charter fishing boat and guide companies and makers of clothing, fly fishing gear, boats, kayaks and much more. You will even be able to get a Rhode Island or Massachusetts fishing license at the show (visit nesaltwatershow.com for a list of exhibitors). There will be something for everyone at the show. A popular “Kid Zone” will again be featured this year with a casting area where children who hit a target receive a prize. There will be a variety of free games for children and Sunday is family day with all women and children admitted free. Attendees can also enter to win a free fishing charter on Priority Fishing Charters with Capt. Rick Bellavance or a 13 foot Duke Canoe. I will be speaking about “Fluke Fishing Tips from the Pros” at four different seminar times. No Fluke Fishing will be at Booth # 422 and I welcome readers to stop by and say hello and enter to win a free charter fishing trip and sign up to receive an electronic fishing newsletter and access to weekly fishing reports. The March meeting of the Rhody Fly Rodders will be held Tuesday, March 20, 6:30 p.m. at the Riverside Sportsmen’s Club, East Providence, RI. The guest presenter will be Dean L. Clark, from Stripers Forever. Stripers Forever, is a non-profit, internet-based conservation organization, seeking game fish status for wild striped bass on the Atlantic Coast. Mr. Clark will present what are the latest challenges for this great game fish and what we can do to help. Also, he will include a presentation about Striper fishing on the “Cape”. Free coffee & cookies, door prize and bucket raffles. Open to the general public. Fly tiers are invited to tie before the presentation. From Providence take I-195 to exit 7, bear right on the ramp and follow Rt. 114 south (Wampanoag Trail) for 2 miles. Look for WPRO studios on left, then take first u-turn back to Rt. 114 north. Continue north and look for the Riverside Sportsmen’s Club sign on right.